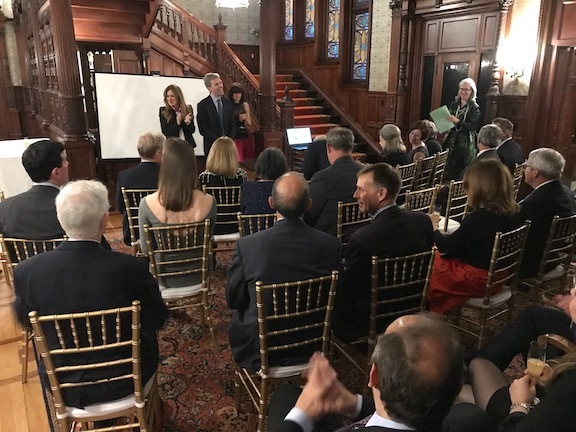 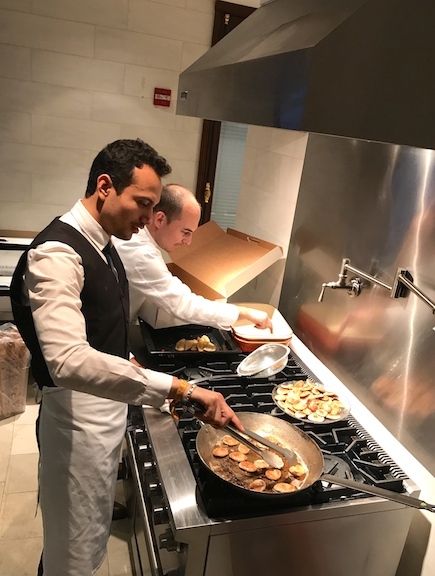 We had the pleasure and privilege to work with the French Heritage Society, Boston chapter on May 1 as they met to talk about their upcoming Fall trip to France in celebration of their 35th anniversary. 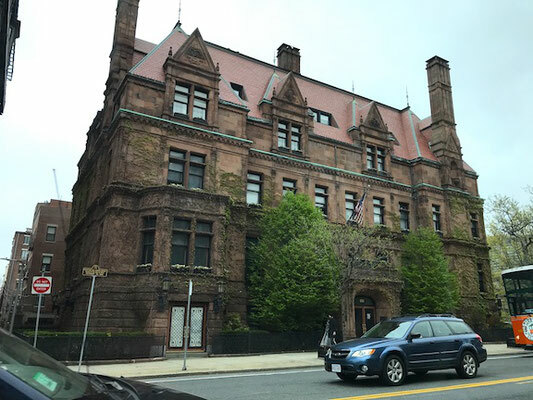 The evening meeting soirée took place in an impressive brick mansion on Massachusetts Avenue, owned by Stephen and Isabelle Roy. 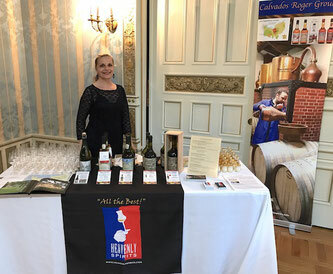 The evening began with a stand-up cocktail meet & greet, served with hors d'oeuvres prepared by La Voile Restaurant of Newbury Street followed by a presentation of the planned Anniversary Trip to Normandie, Paris and Compiègne by FHS Board Member Comtesse Sarah de Lencquesaing and FHS Executive Director, Jennifer Herlein. 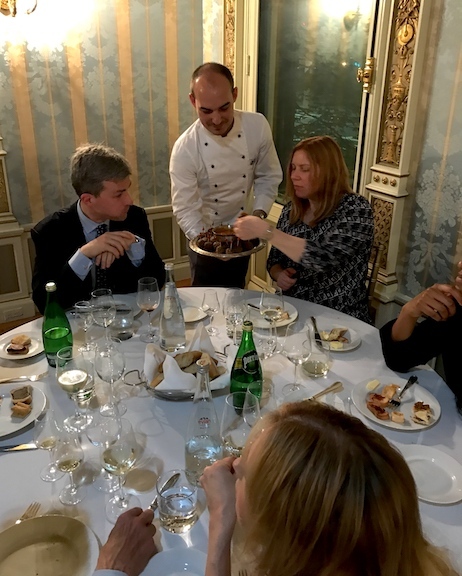 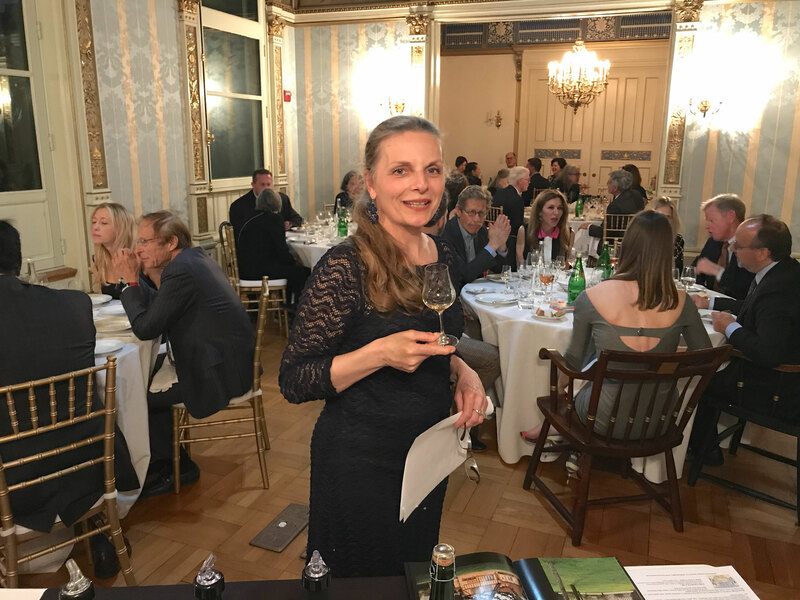 After that we adjourned to a dining room for a Heavenly Spirits sponsored tasting presentation of Calvados Roger Groult, Pays d'Auge and Claque-Pepin Cider, led by Christine Foubert Cooney . 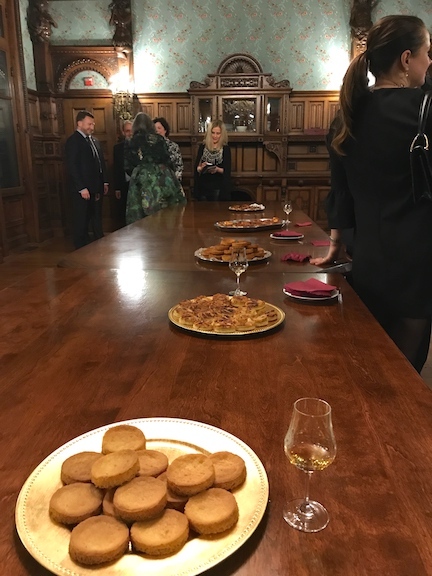 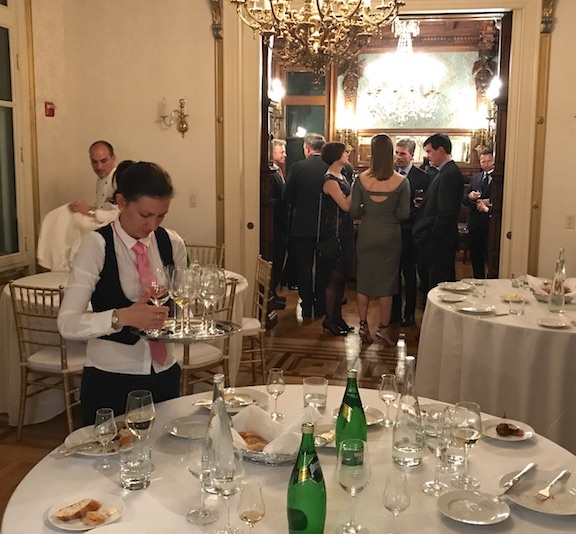 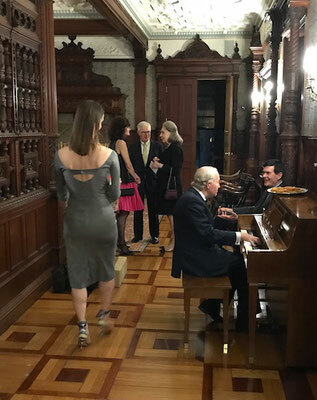 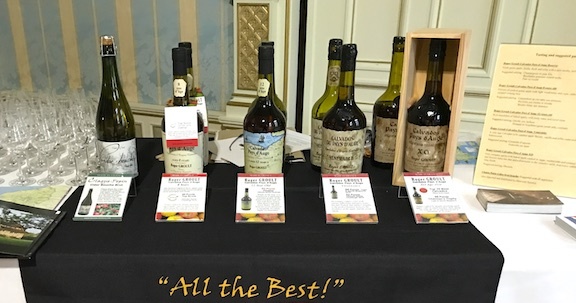 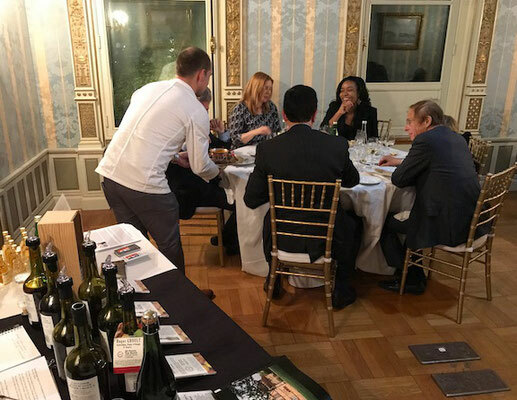 Finally, the group moved to yet another large room in the Roy's beautifully restored mansion where we were served a variety of deserts to go with the highly acclaimed Calvados Roger Groult (30 year old) XO. 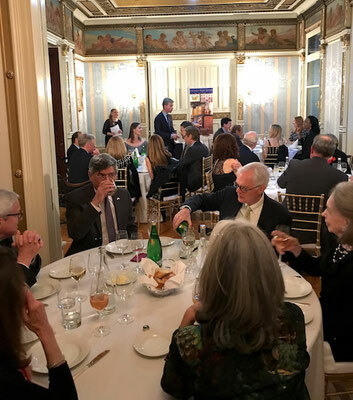 The French Heritage Society, guided by the belief that the most enduring expression of a culture is to pass on its highest achievements, is dedicated to protecting the French architectural and cultural legacy both in France and the United States, with emphasis on raising funds for preservation, restoration and education. 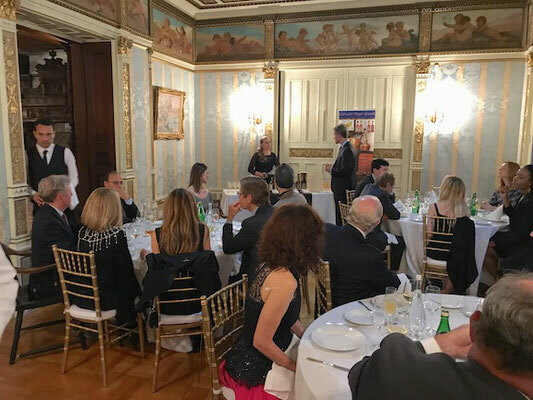 French Heritage Society is a non-profit American organization created in 1982 that includes 10 chapters in the US and one in France.